Most of us are aware that October is traditionally the month we acknowledge Breast Cancer Awareness by wearing and or displaying the color pink. Of course, we should acknowledge cancer awareness all year long. In keeping with my overarching theme of inspiration this weekend (see Friday’s post), I’m hoping to inspire you to think pink, our theme for Sunday Stills this week. Pink is a color in nature that most of us can hardly ignore, from the delicate pastels in shell pink to the bright fuchsias in a bougainvillea bush. But pinks appear outside of nature, too. Me flying on my pink sail! In honor of Breast Cancer Awareness Month I wrote this post in 2015 of leisure’s role in breast cancer awareness month. Becky B inspired us for the entire month of September with her Squares in September: Pink. I was tickled pink that five new bloggers joined our Sunday Stills group in September. Please take a look at their posts! Thank you to my fellow bloggers who participate weekly in Sunday Stills! Please link to this post and be sure to link up to share your pink confections with other bloggers! Great idea Terri, love the little unicycler and your windsurfer! A beautiful way to remind us of an important cause. The sunflower is stunning. Phenomenal photos, Terri. Even though I’m not looking forward to winter the spring snow photo was a standout for me. So lovely! And a great reminder to be aware of breast cancer prevention during October. Thanks, Molly! That was such a surprise to see the snow falling ans sticking on the spring flowers! We often have snow fall on crocuses and daffodils in the springtime. Good thing they are hardy! It is such an odd couple – snow and flowers. Such an important message about what October means in terms of Breast Cancer Awareness, Terri. I was surprised to hear that it’s something that can also affect many men. Is ‘Movember’ something that is also highlighted in your part of the world? It’s something started many years ago to highlight the men that die from testicular cancer. Men support it by not shaving their face during November. Again, you’ve shown some wonderful photography, and I love the change of colour theme on your blog. Thanks for noticing the subtle pink theme, Hugh 😆 I’m not sure if I’ve heard of Movember, but I’m glad to hear people make a stand for testicular cancer. I’ve had a friend and a cousin diagnosed with it, with a good outcome. Beautiful photos, especially when remembering social and health causes associated with pink. I had to think for a minute about the new photo at the top of your blog – once i understood, I’m awed by it. Really gorgeous. Pink is such a fabulous color anyway! Thanks so much, Shari! Love the first picture of the bee on the sunflower! I thought I’d be able to finally join the challenge this week but couldn’t quite do it. Hopefully next week! Thanks, Janis! Hope to see your wonderful images at Sunday Stills soon!! This will be my first time taking part in Sunday Stills (a day late!). I love your photos and all the varying shades of pink. The bee on the flower is so striking!! Hi Kat! Thank you! I’m so excited you could join us at Sunday Stills. Hope to see you again! 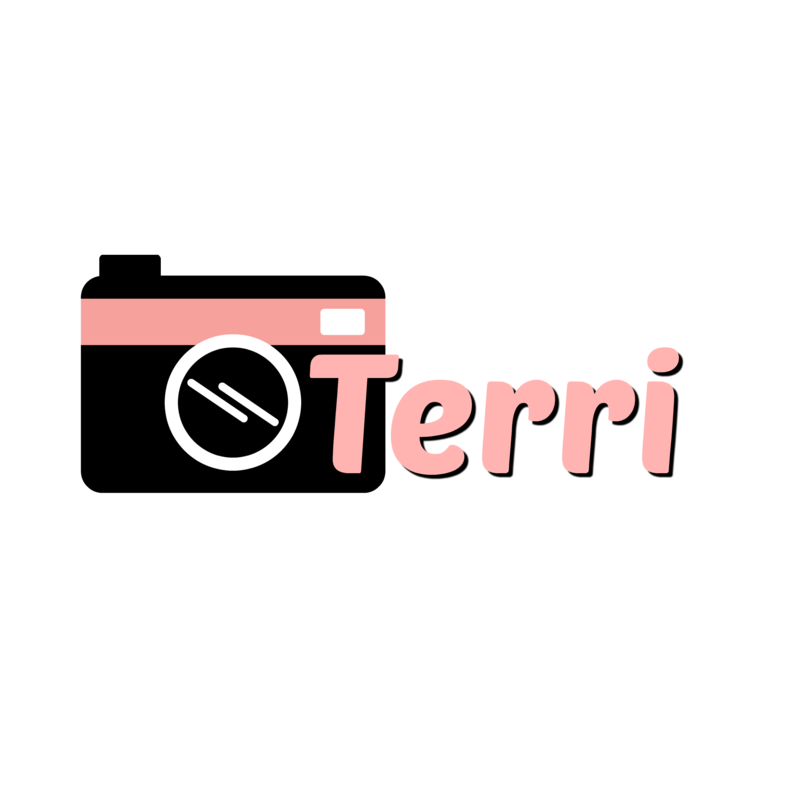 Thanks, Terri! I’ve been wanting to get back in the swing of challenges and your prompts for Sunday Stills fit the bill! Thanks for hosting! Beautiful collection of photographs. I especially like one of the last ones – Spring in High Sierras. Terri – I adore all the photos you shared – pops of pink always make me smile. Thank you for the opportunity to join this Sunday’s Still challenge. Hope you have a great week! Thank you, Shelley! I am so happy you joined the challenge this week, your photos are exquisite! Oh these are fantastic. Glorious pink and the one with the 🐝 wow! Beautiful photos! It’s fun to see all the variations on one color! Love the second photo with the bee. Also the unicycle – something otherworldly about that. Here’s my offering: https://grahamsisland.com/2018/10/07/java-sparrow-2/. Thanks, Graham! The bee was pure luck (which is half of photography anyway, right?). I couldn’t believe that little girl careening all over that motel (near Yosemite) on the unicycle! Hi, Terri – I greatly enjoy viewing your Sunday Stills photos. Thank you for reinstating this challenge! Thanks, Donna! Are you celebrating Thanksgiving today? Blessings to your family! 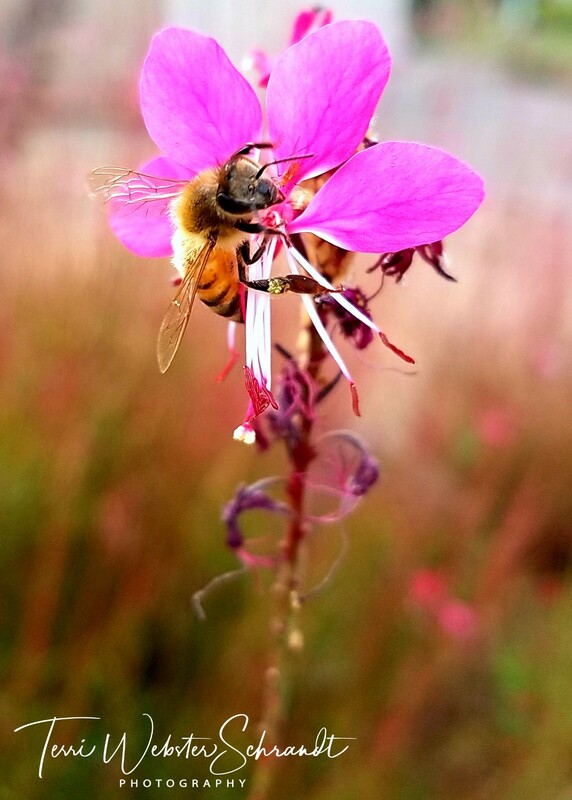 That pink flower with the bee is astounding. I just finished up a month of posting pink everyday in September! Thank you, Lisa! I think I saw most of your pink posts! Thank you, Leslie! I would love to see a post on this subject from you! Don’t worry about the quality of the images, I’m sure your story is compelling enough! Yay, Deb, I’m so happy to can participate today! Off to check out your post! Added my contribution, for this time, and any time, where we need a bit of both softness and protective strength. … linked at the linky-thing, but copying here, too. I am a little slow on the pink this month. My new jacket has a pink lining.I have have looked through my pictures and will post a my take onpink. Looking forward to it BL! Thanks Tatiana, I’m on Facebook too! 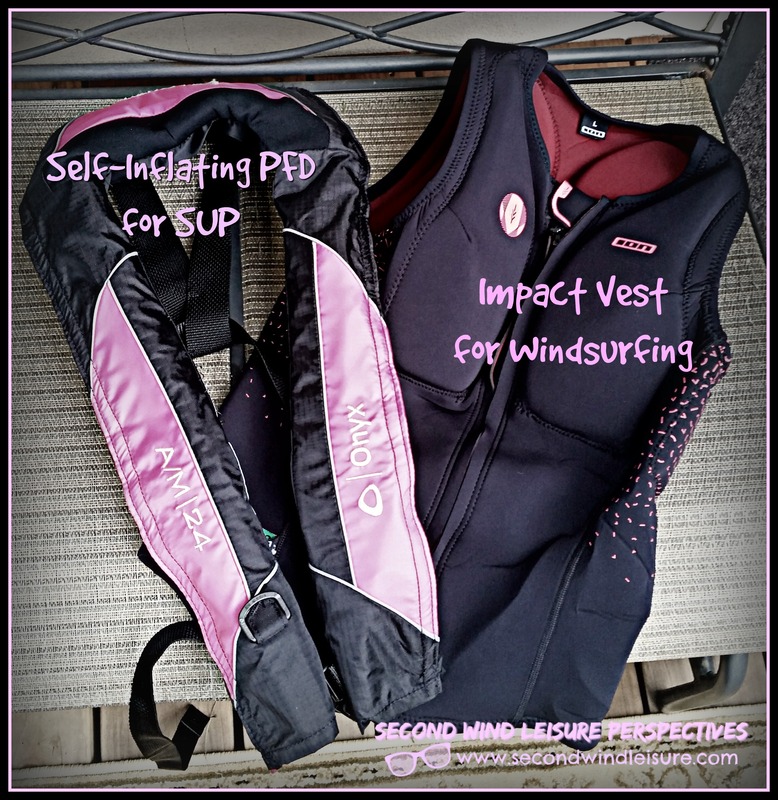 I’ve only started really loving pink, so i added a post to your linkup!! It’s fun to try out different color combinations!! What a lovely selection of “pinks”. The second one with the bee is gorgeous! Thank you, Maria! 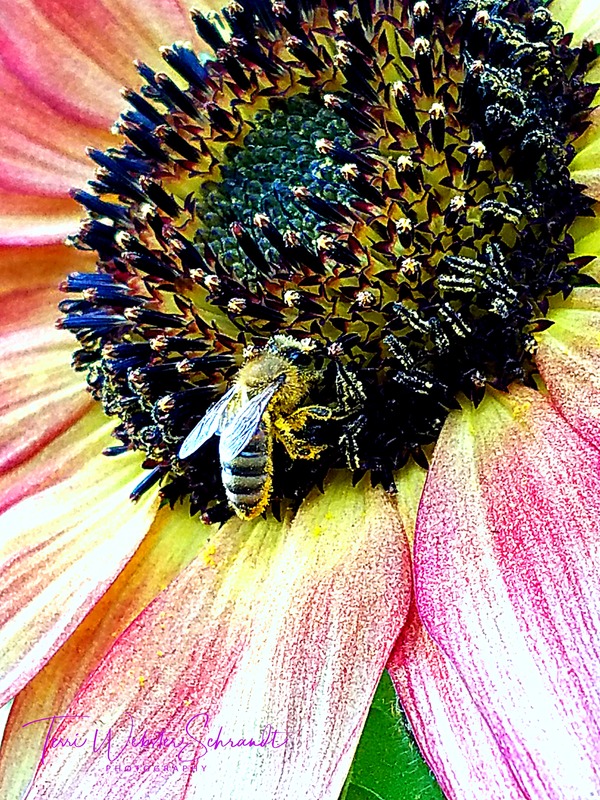 That one with the bee was taken with my phone, I got very lucky! !